It’s the mostly true tale of the most infamous family feud in American history. On the border of Kentucky and West Virginia, North and South, Fact and Fiction, two cabins both alike in dignity wage a whip-smart war of words and bullets. This modern love letter to Shakespeare's Romeo and Juliet lands us in a philosophically polarized America emerging from the Civil War. But conflict reverberates at home. Gunfire and romance erupt when young Rose Anna McCoy and Johnse Hatfield fall in love, marry in secret, and vow to reconcile their feuding families against all odds. Their tale of woe is served up with a heaping helping of original Americana tunes, connecting times past to our familiar present. Showing at the Chopin Theatre January 19-March 11, 2018! ★★★ "Hatfield & McCoy is a feud worth taking seriously." AGES: With guns, righteousness, and un-neighborly conduct, this show is recommended for adults and teens. GROUPS: 10+ people? Save at least 15% when you get a group! Enjoy a pre-show mix n' mingle with drinks and apps and a ticket to the 7:30 show. Get tickets and info. 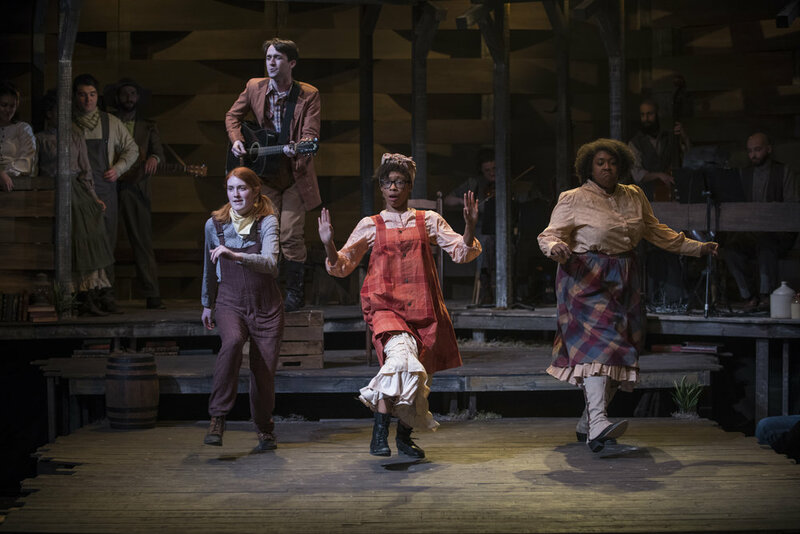 Here's a sneak peak of The House Theatre's recent revival of Hatfield & McCoy, an American love story of epic proportions. Listen to the first song of the show, Bad Signs and get a first look at our amazing ensemble.